But the ego is not some minor, harmless aspect of our lives that can pretty much be ignored – not if you wish to progress on the spiritual path, that is. And it is more than just a show-off. It is way more all-pervading and subtle than that. Like icebergs showing just a small part of their whole on the surface of the water, the ego too is a secret operator. If your goal is spiritual transcendence or transformation then the ego is that part of the process that cannot be evaded or denied. At the same time I’d like to make a distinction between functional ego and non-functional ego. The former is something we need to live as human beings. Without it we wouldn’t be able to do all the practical things we need to do – eat, wash, brush our teeth, go shopping, cook, change our clothes, read a book, cross a road, etc etc. And that is all fine. This ego does not have an agenda except to get the task at hand done. Rather, it is the unconscious, non-functional ego that adds a layer to to this and says ‘I want to look good crossing the road’ or ‘I deserve to eat only the best’ or ‘I want to wear designer clothes’ etc. Just to be clear – there is nothing wrong with this. This isn’t about right and wrong. This is about real and unreal. The problem with talking about the real and unreal is that until you start to get a sense of your own sense of self and the ramifications of maintaining an image in this manner in your life, your identity (ego / personality / self-image) is seen as real and nothing but real. 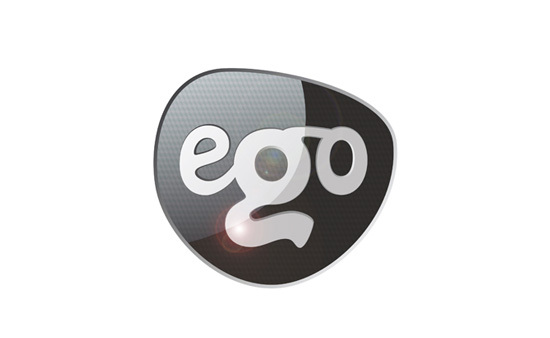 That’s the ego’s job – to make you invest your energy, thoughts and behaviour into maintaining an image of yourself. And as human beings we are continuously running a movie of ‘me’ in our heads over and over, refining the scenes, writing new ones with a view to getting a good round of applause by the external world which includes family, friends, colleagues, strangers, anyone outside of us. As long as we are busy with this sort of self-preoccupation, the ego is happy. It’s happy because it knows you’ll never wake up to its unreal nature. In this preoccupation we don’t even realize we have bypassed reality (by being engrossed in our heads and emotions). There is confusion because we believe we are the image we project to the world yet we also get a sense of something missing, something not quite right, some dissatisfaction. This is because we are not living authentic lives where we are true to ourselves. Ultimately underneath it all we have rage, but this is juxtaposed by a good dose of fear as well, so the end result is the hamster keeps on turning the wheel as doing anything different will mean facing this pain. It’s not easy because we live in a world that shuns truth and dumbs us down. People are not taught or encouraged to be open or questioning, so the game becomes how perfectly we can become compliant and non-questioning and maintain the status quo. What is needed to awaken from the dumbed-down ego level is….a modicum of courage. Some humility and willingness to acknowledge you actually don’t know very much at all would come in handy too. And then underneath the whole process a little faith in the process itself. Essentially it is a healing process, initially. We do not have to worry about who we really are, or trying to be something. What is real is always there and never goes or diminishes. What is unreal eventually ends. The Buddha said we are happiness. But we don’t need to go grasping to understand or seek, for the drop is already part of the ocean, it does not need to seek it. We are That already. Our focus and intention should be on removing the emotional, psychological and mental barriers that stand in the way of our seeing things as they really are. You could say that the real spiritual opening happens when we start to ask questions of and for ourselves in an authentic way, and when we seek those answers not in religious books or someone else’s words, but from within. The risk of inner experience……this is what we need a little courage for, and you will find it becomes easier and more comfortable to have this inner perspective the more you practice. We traverse fear when we let go to the spiritual-opening process. Something triggers this shift, it can be gradual or sudden, but the inner opens up and fear gradually starts to subside. Death isn’t what fills you with fear, it’s life that is the challenge. With an expanding inner experience and awareness, sometimes emotional patterns come up for release (have courage here, stay with it, you got to feel it to heal it), and you keep going, and beyond that you start to glimpse the truth of who you are beyond the illusion of your self-image. Now, as you gain an understanding of what is truly real and what is not, your answers arise from within, your faith in this process grows and there is a sense of great relief to have finally seen the walls of the invisible prison of the ego. To finally wake up from the non-stop demands of the ego takes a load off the shoulders – being a ‘me’ is hard work. I couldn’t live with myself any longer. And in this a question arose without an answer: who is the ‘I’ that cannot live with the self? What is the self? I felt drawn into a void. I didn’t know at the time that what really happened was the mind-made self, with its heaviness, its problems, that lives between the unsatisfying past and the fearful future, collapsed. It dissolved. There are many who are awakening on this planet of contradictions! But this “many” is still very much a minority. The mainstream is almost totally ego-based but not to worry, we have to accept that the real revolution can only occur one by one in any event. There is no ‘mainstream’ out there that can be changed. The external is affected by what occurs energetically, which arises from the inner. So it’s an inner revolution that we’re faced with. Sooner or later the denial of who we are always comes to an end (whenever that may be), one by one, and truth is revealed. 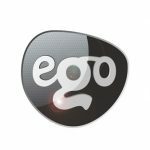 For myself it was eight years ago when ego dissolution occurred. One day, the person that had been living my life including all the definitions, roles, values and judgments that had been important to me were suddenly meaningless, and instead there was this nothingness, a space. This empty space gradually became synonomous with bliss, silence and God. There was a direct experience one night. My cynicism of the intangible, lack of faith and attachment to thinking lost their truth, value and fun. So things felt pretty different after that. But the roles are needed to function in daily life so the game gets played. It just takes a while for it all to become integrated. It is not always easy to describe with words the experience or what happened, so I’ll just leave it at that for now – also time to sign off now – till soon! Do share your own thoughts or experiences below in comments. Even the egoist person can’t have happy family life. While interacting with his wife, children, parents ego will come in between and unpleasant incidents will occur. So he is loser all the way in the end. An egoist person can’t have true friends. The moment they recognise him they will maintain a distance. And he can’t be true to himself, sooner or later when he realises about his being an egoist, either he will be guilty or keep on carrying on killing his conscious. Ego is a very thick curtain in the way of achieving spiritual fullment. An egoist can never be anywhere near the spiritual path. God bless him. Deepak Chopra has said: “If you want to reach a state of bliss, then go beyond your ego and the internal dialogue. Make a decision to relinquish the need to control, the need to be approved, and the need to judge. Those are the three things the ego is doing all the time. It’s very important to be aware of them every time they come up.” In the end it is very simple, though not easy. If we bring the focus on our own internal state and raise our consciousness through focus on this, ego is transcended and there is more peace.